Deep Space Stein continues and that of course means that we’re still drinking craft beers and banging out as many episodes of this podcast in a single day as we can! Plus the second Cavalcade of Guests is seemingly never-ending, as we are joined by Christine Anderson and Julian Williams! 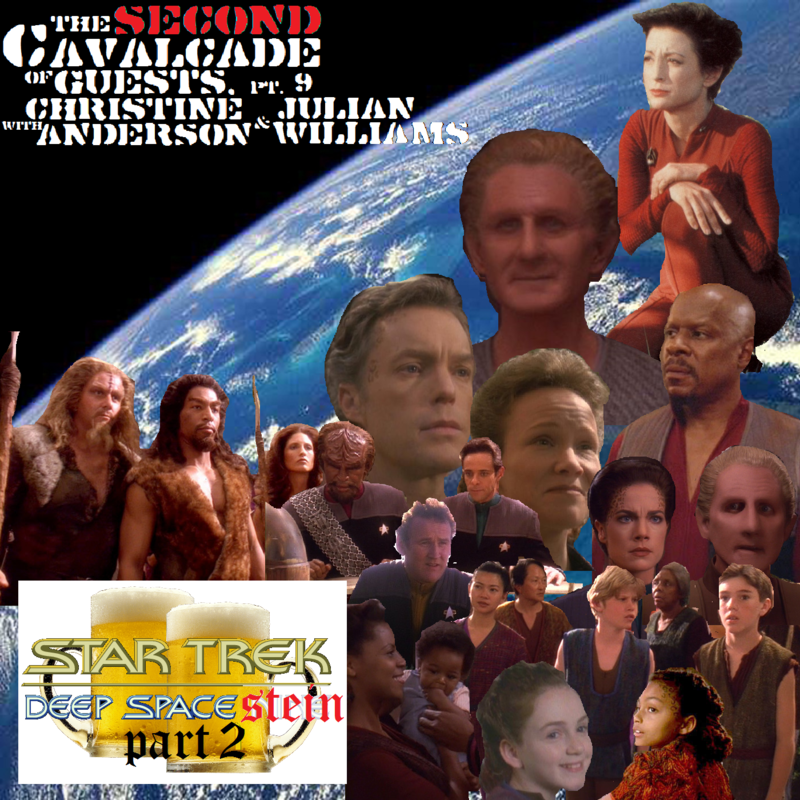 And we’re all five of us having a blast together talking about Children of Time, an interesting DS9 installment that’s just loaded with tricky moral conundrums. Not only that, but we’re weighing in on that new Mummy trailer, hotly debating how exactly the temporal mechanics of this episode work, imagining a planet CRAWLING with Bashirs and exploring the disturbing actions of “Oldo”. Plus, there’s plenty of beer. Heaping stein-fuls of beer!